California State University, Northridge is featured on #NBCLatino20 in honor of Hispanic Heritage Month. Photo by Gina Silva. California State University, Northridge is featured on #NBCLatino20 in honor of Hispanic Heritage Month. Photo by Alex Trocker. In celebration of Hispanic Heritage Month in early October, website NBC Latino named California State University, Northridge professor of Chicana/o studies Denise Sandoval one of the #NBCLatino20. All of the honorees “are fiercely proud of their heritage, which has guided their work and inspired their accomplishments,” according to the English-language website, which features Hispanic-oriented NBC content. The list includes professionals as disparate as supermodels, astronauts and chefs. 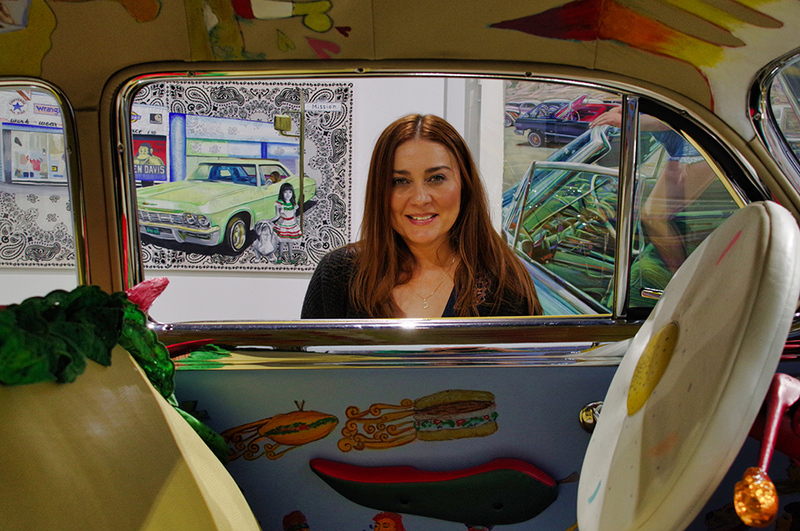 Sandoval ’95 (M.A., Chicana/o Studies) has been researching and curating exhibits on lowrider culture for more than 20 years. 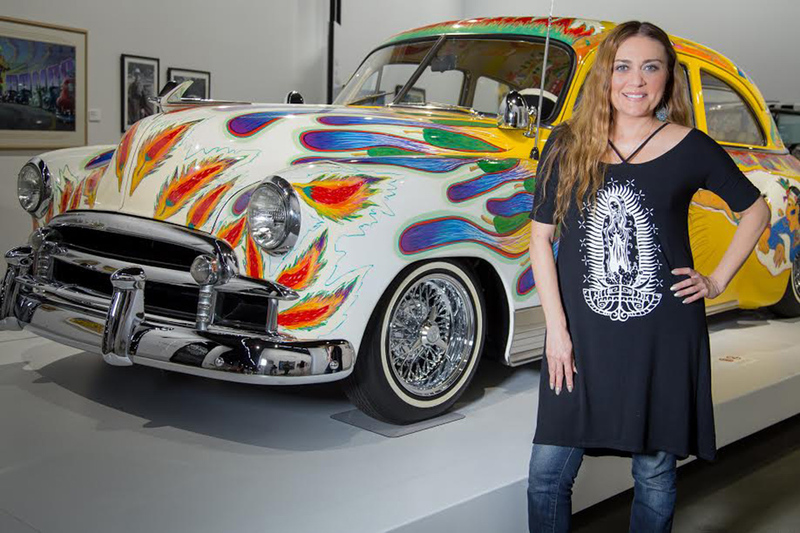 She most recently curated a lowrider exhibit at the Petersen Automotive Museum, which opened in spring 2017. The exhibit, The High Art of Riding Low, runs through June 2018 in the museum’s Armand Hammer Foundation Gallery. Sandoval said she wasn’t expecting the honor from NBC, but she felt excited when she heard the news. The broadcasting company recognized the professor for her passion, vocation and skill sets. The High Art exhibit already has logged more than 1 billion hits online — museum enthusiasts searching for the exhibit online and clicking on articles related to its pieces — Sandoval said. The exhibit features sculptures, paintings, installations and, of course, lowrider vehicles as art. The term “lowrider” has a dual meaning, said Sandoval, who previously curated the Petersen exhibitions Arte y Estilo (2000) and La Vida Lowrider: Cruising the City of Angels (2007). Sandoval expressed gratitude for the support offered by the CSUN community. Currently, Sandoval is on sabbatical, interviewing artists from the exhibit as part of a larger book project about The High Art of Riding Low. For more information about the exhibit, please visit petersen.org.